Years ago I had never even heard of Instagram. It used to only be for iPhone and I had an Android. When I heard that they got it on Android, I thought it sounded cool, but didn't really know what it was. I got addicted in a hurry. I love pictures...looking at them, sharing them, taking them. I had a baby that was around 6 months old, so this was the best thing that could have happened to me as far as sharing photos of her with the world! 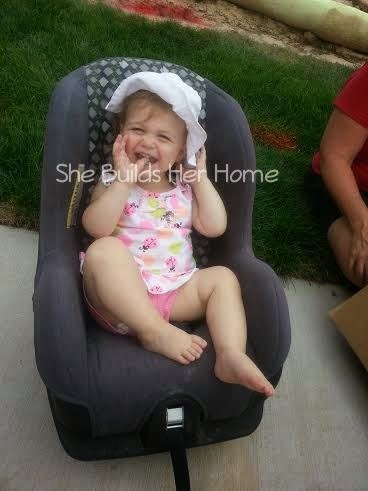 My goofy girl enjoying her car seat being out of the car! Well 1800+ Instagrams later, and I have a thing or two to say. I still love Instagram. I love how convenient it is, I love how quick it is, I love that I have thousands of pictures of my babies in one place. If my hard drive ever crashes, well, I have Instagram. 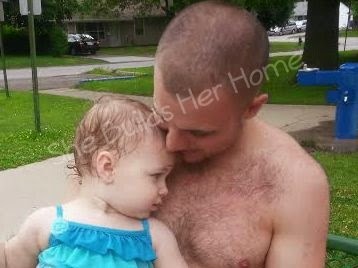 Sweet daddy & daughter time at the splash pad! Awhile ago I noticed that I was a bit "addicted" if you will. Sure, it's one thing to love sharing and looking at photos, but I think I was past that point. I felt like if I set my phone down for the day, I had so many photos from the people I follow to catch up on that it was overwhelming. I felt like I always had to carry my phone with me in case something noteworthy happened. Heaven forbid I didn't get to Instagram that! I started to realize that I wasn't Instagramming for me anymore. Not for my family. I was doing it for other people. I had somehow gotten this programmed in my mind that people needed to know what we were doing. At all times. Ok, I wasn't posting 30 pictures a day of every book they read, every food they eat, every toy they play with, but basically anytime anything remotely exciting happened, it went on Instagram. 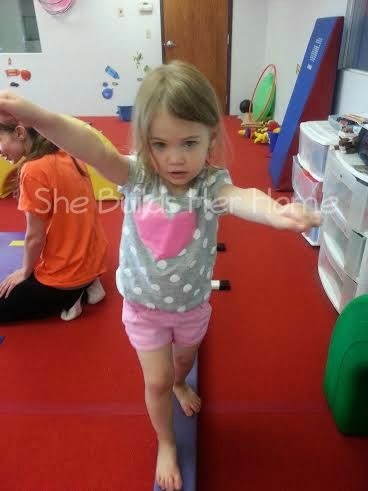 My big girl rocking the balance beam at gymnastics! This may be ok for some people, but I started to realize it wasn't for me. I was more worried about getting something on Instagram than being present in the moment. "It's for the memories!" I would tell myself. And yes, it is to some degree, but what about just creating the memories? Being present to be part of the memories?! I wasn't doing enough of that. 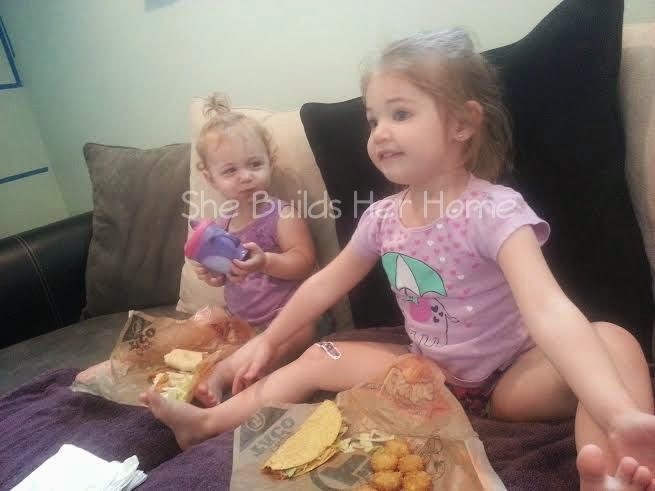 Having a couch picnic party! So I told myself to take a step back and not post every single thing that was worth noting. It's ok if people don't know that we went to the park that day. It's ok if I miss that someone went grocery shopping or a cute video of their kid. I'm not missing out on anything. 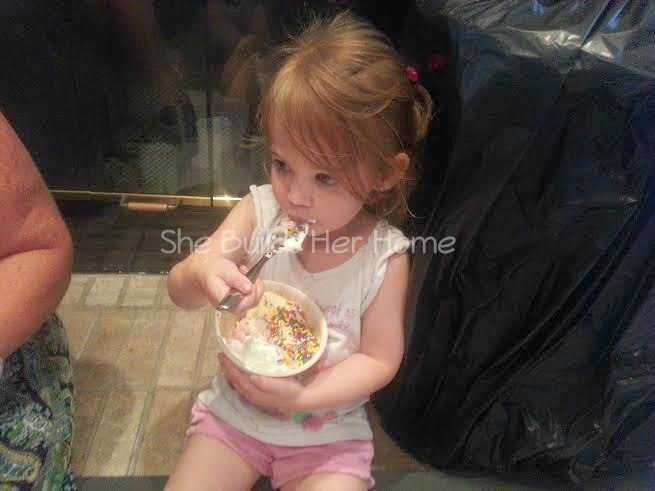 Enjoying ice cream on Mama's birthday! In fact, I'm probably gaining something better--focused time with my family! Instead of snapping a picture while I'm pushing my kids in the swings at the park and then pushing them one handed with my face in the phone so I can put it on Instagram right away and not enjoying the time with them, I'm taking the picture and putting my phone away. I can gram it later if I want to. Or I don't have to. It's freeing really. 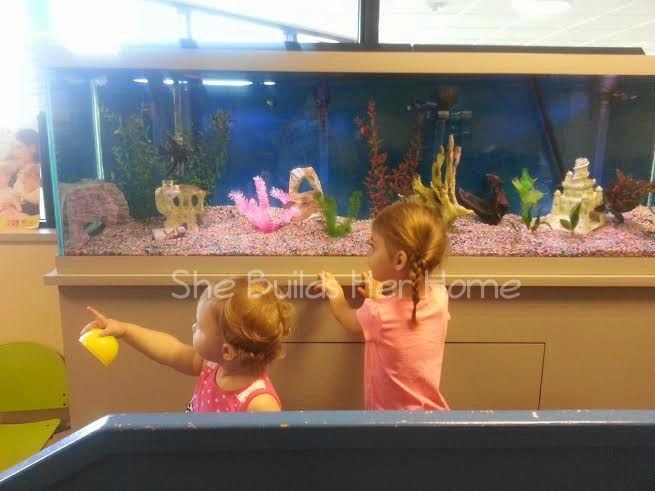 Checking out the fish at the doctor's office. Oh, and Daniel Tiger, of course. There have been days where I don't post a single picture, and there have been days where I'm posting 5 pictures in a row when I crawl into bed that night. I've been less active and less present on there in general, and at first I felt badly about that. I didn't want friends to think I didn't care about their pictures, or their lives. I definitely do! It's just that it was taking way too much time away from my kids and my family, and for what? 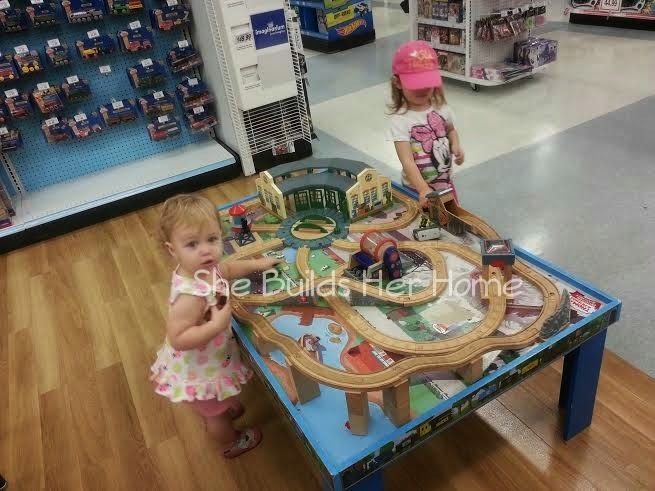 Playing trains at the store! So when I started Instagramming for me, I gained time, I gained presence, and I gained even better memories! I love Instagram, but I love my family even more. And guess what?! We've even been using a real camera lately to capture the moments...that's something that hasn't happened in a long time! 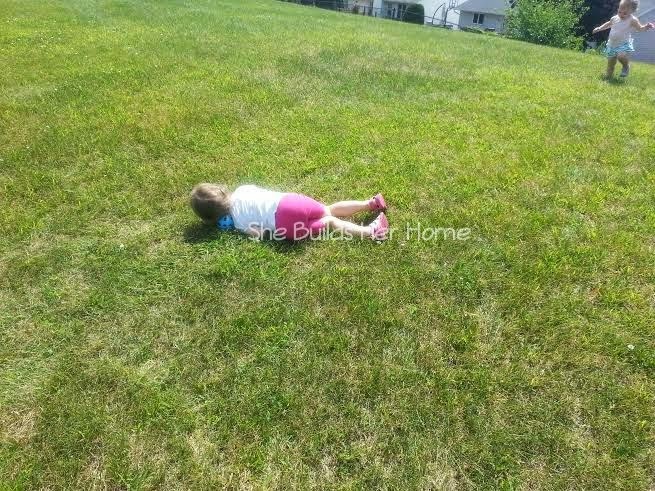 My girls learning how to roll down a hill! Love, love, love!! I can relate to everything you said in this post! I'm trying to me more present and just put my phone in the other room. It's hard because I really feel like it's an addiction!